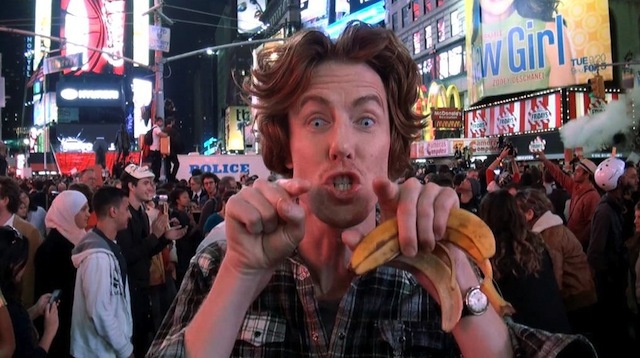 A quick reminder for Olaf Breuning‘s lecture in the Métamatic Artists’ Lecture Series tonight. As usual, the lecture will start at 20:00 (doors 19:30) at Felix Meritis, Keizersgracht 324, Amsterdam. If you’re planning on going but have not yet reserved a seat, please do so by sending an email to paul[at]allartinitiatives.org. Olaf Breuning was born in Schaffhausen, Switzerland in 1970 and currently lives and works in New York, NY. Breuning studied professional photography in Zurich, Switzerland and went on to complete postgraduate studies in photography at the HSFG Zurich. Breuning has had solo exhibitions in Metro Pictures, New York; Migros Museum, Zurich; Chisenhale, London; Museo de Arte Carrillo Gil, Mexico City; Magasin, Grenoble. He has also been included in several international group exhibitions, including Whitney Biennial 2008, Whitney Museum of American Art, New York; ‘Looking At Music’ at the Museum of Modern Art, New York (2008); ‘All About Laughter’ at Mori Art Museum, Japan (2007); ‘Let’s Entertain’ at the Walker Art Center, Minneapolis; Centre Georges Pompidou. In the past years Breuning made a series of films based on collage and fragmentation, addressing delicate social issues and conventions. The way he combines a large dose of dark humour and a critical view with the autonomous references and interpretation of his themes shows a strong connection to Tinguely. As does his keen sense for present-day social misconceptions. In ‘Home 2’ for example, he ridicules the Western need to visit primitive cultures and the conviction that their authenticity and purity can save us from our cultural doom, or can at least make us feel better about ourselves. In ‘Home 3’, his proposal selected by the MRI directors, Breuning wants to further continue this method around the relation between modern man and his technological environment. Hoping for liberation from his tasks by (communication) technology, this human becomes more and more entangled in obligations and interaction.